Summer Calls For Strawberry Hair!!! 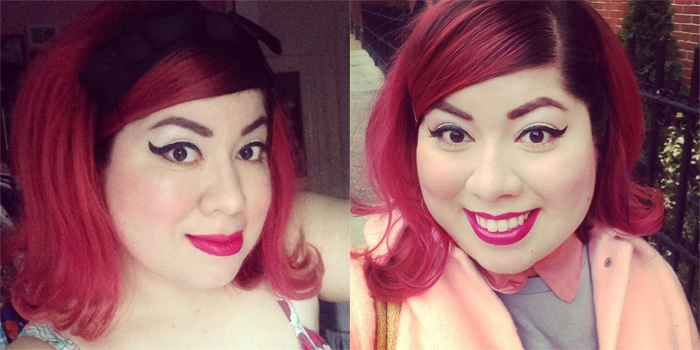 If you follow me on social media, you know I’ve gone from brunette to bright pink! This was due to NYC salon, Fox & Jane. 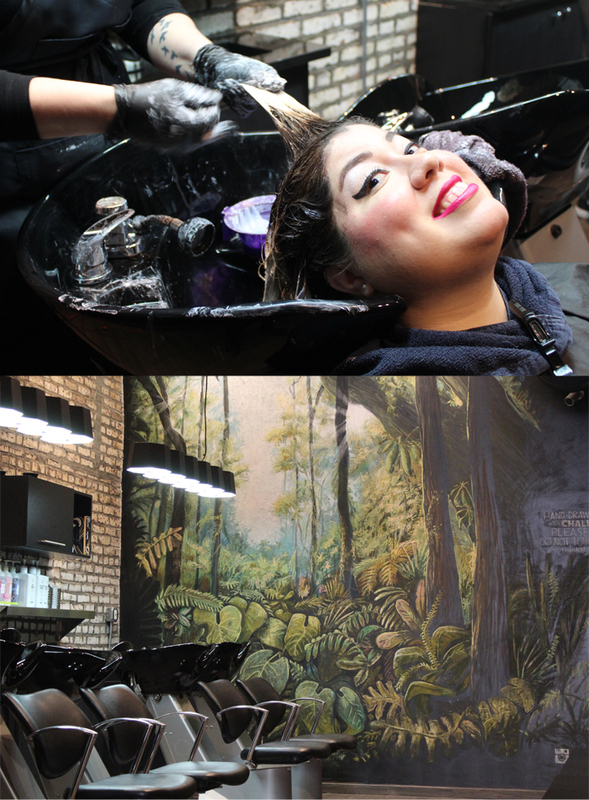 The owner, Lorean Cairns, invited me to experience the salon and, little did I know, it would basically change my life. First of all, I went in expecting to get a bang trim, but casually mentioned pink hair. Lorean was totally game. Not only that, but I found that she and the salon actually specialize in beautiful unicorn hair. Lorean is the kind of person who is a legit inspiration. I want to circle back and interview her sometime. 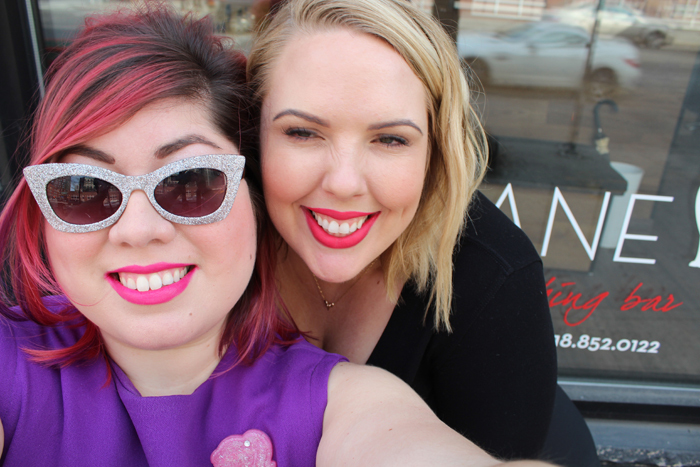 She’s a relatable #girlboss who owns several salons, yet one-on-one, feels like your soon-to-be bestie. That’s probably a sign of the perfect hairdresser. 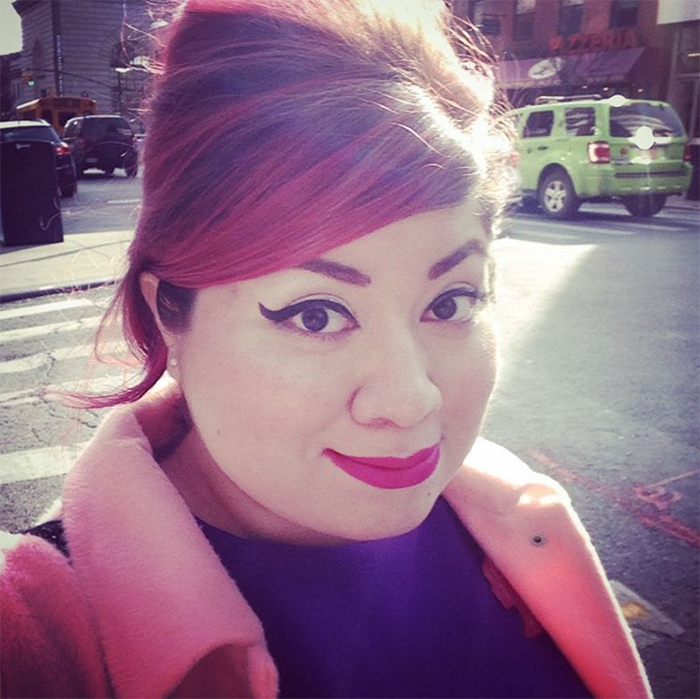 We gossiped about dating in NYC and the nuances of colorful hair. She listened to my ideas and gave input, all while spoiling me with wine and delicious lattes. Her colleagues were also super friendly and sweet. Experience alone, I felt like a pampered princess. It might be my favorite blogger perk ever. Now let’s get to the hair...Lorean suggested a style with my roots on display so the dye can easily grow into ombre. I don’t have the patience to keep up with bleached roots! The color came out gooooorgeous and multi-dimentional. She even added bits of purple. I left the salon feeling like coolest person on earth. 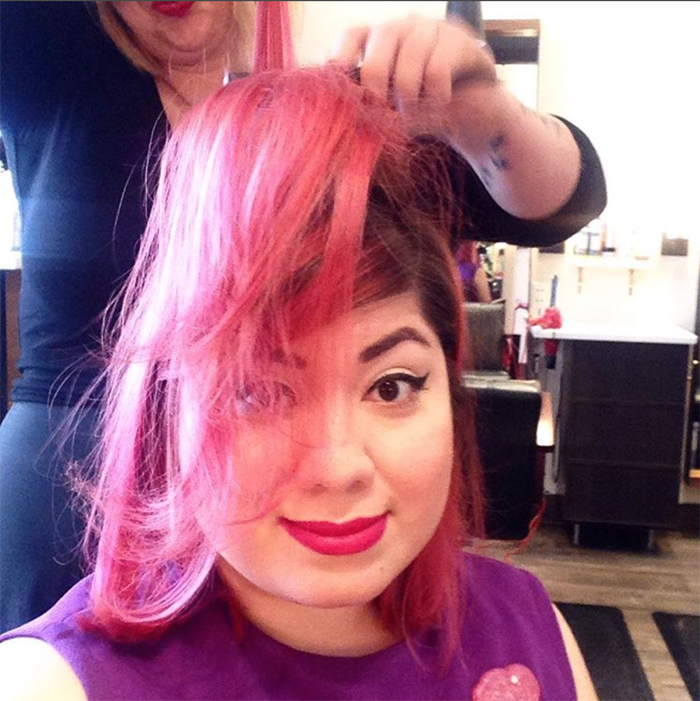 I always wanted pink hair and this salon gave me the nudge I needed. 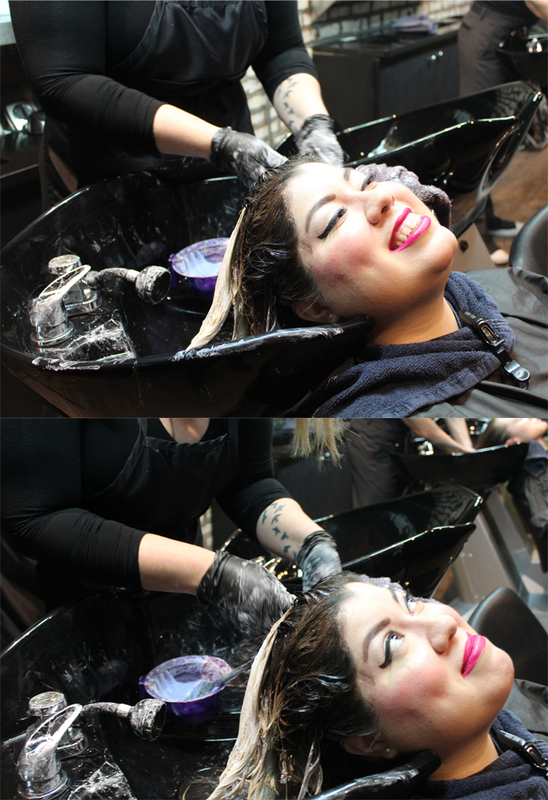 This is not a sponsored post, just a high recommendation of a salon and it’s cool cool owner. 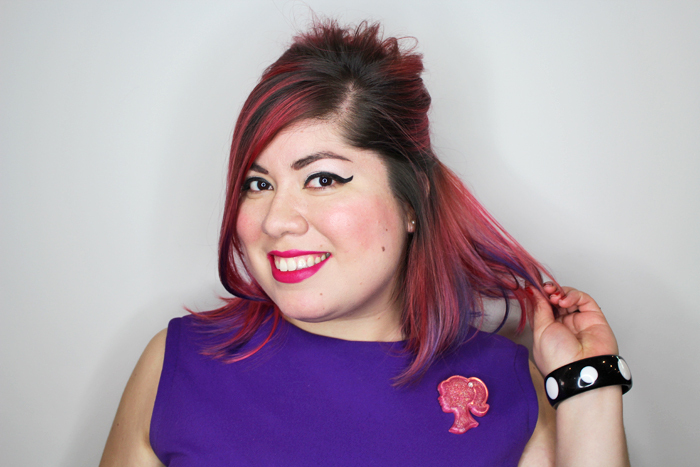 You can follow Lorean's personal Instagram for some fabulous hairspiration. Since then, I've re-dyed my hair several times using Manic Panic Amplified. Below is how bright it came out right after dyeing. I miss the bits of purple, but I love that once it's bleached, I can easily add color of my own. New Brit + Co Article!! !